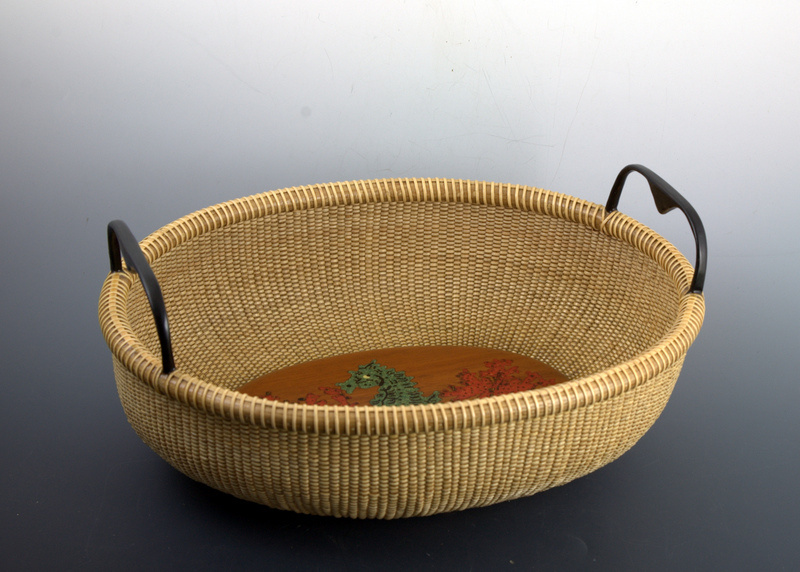 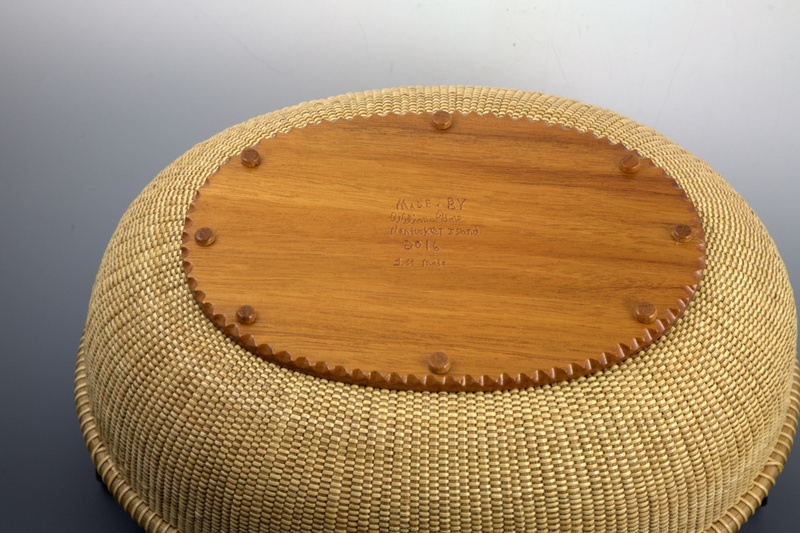 This 13″ Oval Open Nantucket Lightship Basket is made by William Kane, son of Michael Kane. 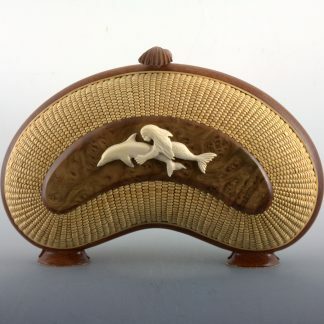 This basket has a mahogany bottom with an inlay of Seahorse and Fan Coral, done by William Kane. 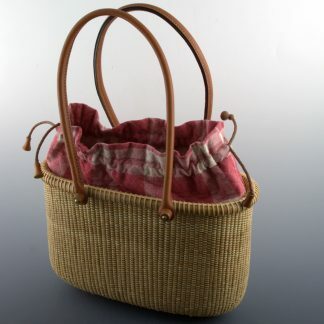 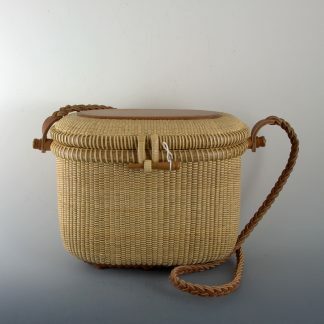 Basket also has bushel handles. 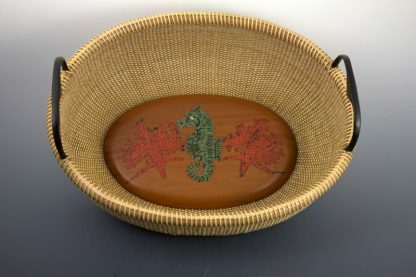 It is a very beautiful design and would be a great addition to your home. 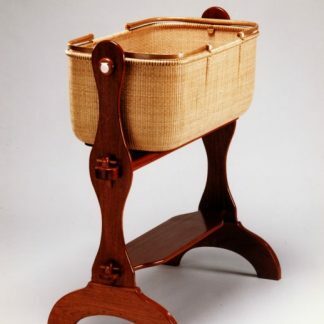 Will started working with his father in 2008 and is the 3rd generation to carry on the craft.